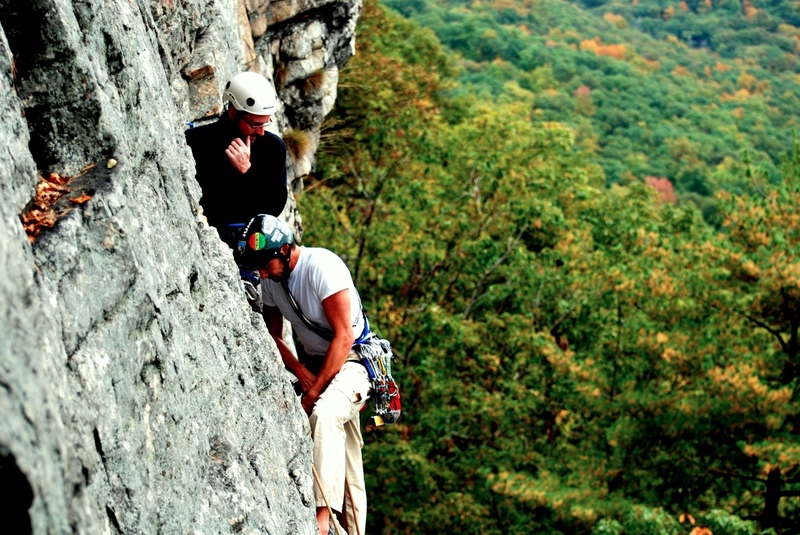 This advanced course is designed for climbers who would like to learn how to retreat or advance from unexpected dangerous situations which could arise on climbing routes. Self-rescue, in climbing, or in the broader activity of mountaineering, refers to actions and techniques, taken by either an individual climber or teams, to retreat or advance from situations which would leave them, otherwise unprepared, stranded (and, possibly, dead). HighXposure’s Self-rescue for Climber course provides experienced recreational climbers essential rescue techniques including lowering and raising techniques using a plaquette-mode device, basic techniques used to escape the belay, setting up bail anchors, and ascending a rope. Most importantly, you will learn to avoid situations that have the potential to require self-rescue. Self-rescue is an alternative to calling search and rescue (SAR) which can save the climbers being charged for SAR services and can avoid putting SAR team members in harm's way. Unfortunately, many aspiring climbers don't take the opportunity to train themselves in real-life conditions (overhanging edges, etc.) and "find they need to seek outside help". When members of a team require self-rescue, rescuing a fallen partner may expose the rescuer to significant risks. Self-rescue requires having a practiced rescue plan, good communication, and foresight to avoid "an incident within an incident". We will work with you to teach you how to assess risks, and avoid or reduce them in the first place. We'll introduce you to new clever techniques and systems to reduce the chance of ever having to use the rescue skills you will learn on the course. The full Self Rescue for Climbers course is taught in 2 days. The first day covers basic techniques, and the second day is focused on more advanced skills. We recommend taking the full course, however taking the first part only would be very useful, too. You can always take the second part later. During both days you will have a chance to practice all the skills you learn in a real life situations. All these skills are useful in everyday climbing as well. You will become faster and more efficient rock climber after taking the program.